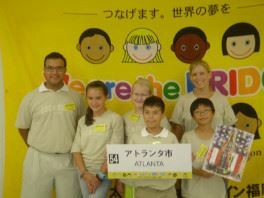 As Atlanta’s liaison office for the 31st Annual Asian-Pacific Children’s Convention (APCC), The Japan-America Society of Georgia (JASG) is again able to share a once-in-a-lifetime opportunity for 4 elementary school students (two boys and two girls) and 1 chaperone from the State of Georgia through this fully funded exchange program to Fukuoka, Japan (Atlanta’s Sister City). This year’s APCC will be held from July 14-25, 2019. 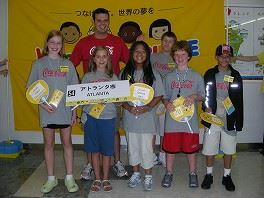 The JASG will again act as the official liaison office between the APCC, the City of Fukuoka, and Atlanta's APCC delegation, and will manage all pre-departure preparations for this fully funded exchange program. Applications for 2019 are due on Tuesday, February 5, 2019 and all application materials must be received by the JASG by 5:00pm that day. For more information on this year’s conference or if you know of any elementary students who would be interested in applying in future years, please contact the JASG at 404-842-1400 or Admin@JASGeorgia.org. For more information about the APCC, please visit www.apcc.gr.jp. The BRIDGE CLUB (BC) began in 1998 as part of the preparations for the 10th APCC. Former Junior Ambassadors (JA) were invited back to Fukuoka as Peace Ambassadors (PA) and a worldwide network of APCC participants was established. 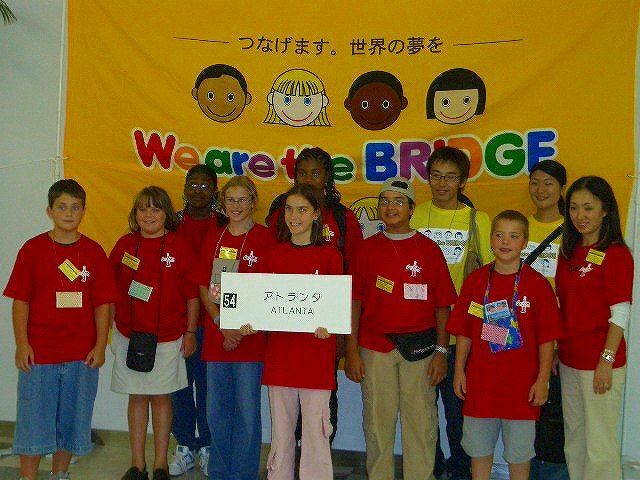 Members of the BC then went back to their own countries and regions where many of them started their own BRIDGE CLUBs and began to hold regular meetings. For more information about the Bridge Club, please visit www.bcio.org. 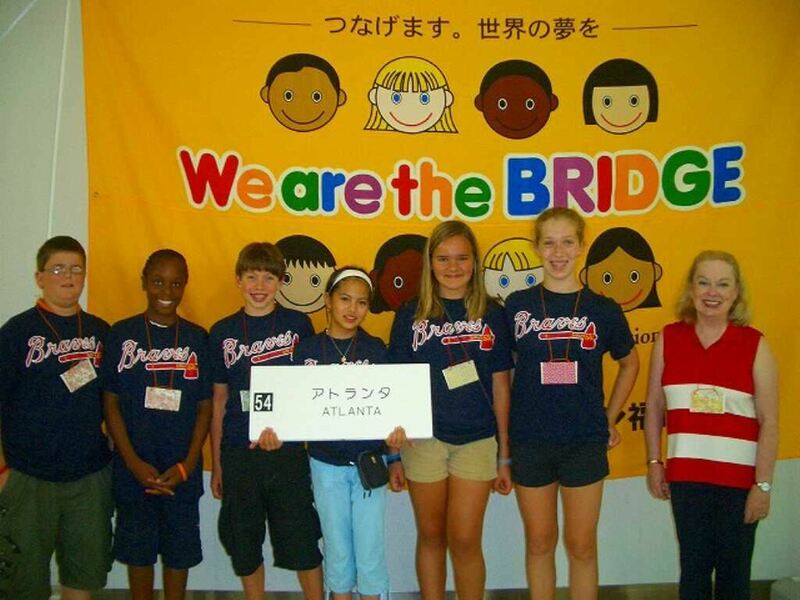 Bridge Club members are eligible to become an APCC Peace Ambassadors (PA) and return to Fukuoka, Japan for a continuation of cultural exchange among the different cultures of the world. 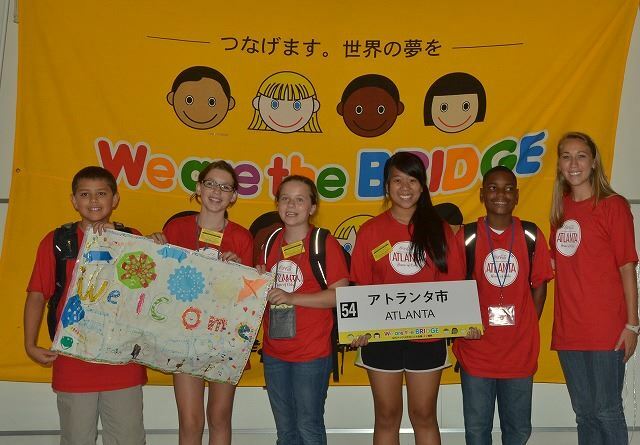 In order to achieve these goals, the BRIDGE CLUB reaches out beyond the limits of the APCC to form a human network around the world through its local BC activities. After returning to their own countries, the Peace Ambassadors launch themselves into BC activities. Each BC has their own activities depending on local needs. For example, humanitarian assistance, cultural exchange, intercultural education and training for JAs etc. The BC also acts as an alumni association for former participants of the APCC enabling them to keep in touch and sustain their friendships throughout the world. 3. Expand the network across the world, establish a circle of friendship and work towards creating a peaceful society. 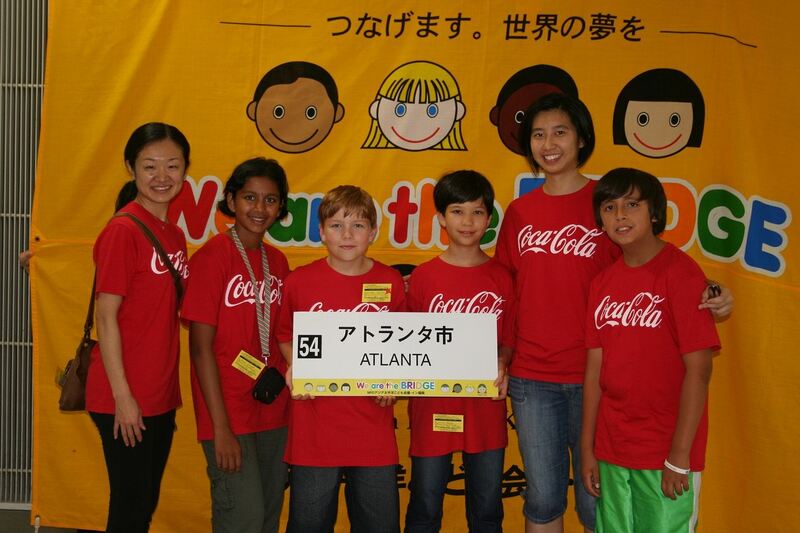 Atlanta (USA), Australia, Bangladesh, Bhutan, Fiji, Hawaii, Hong Kong, India, Indonesia, Japan, Kiribati, Laos, Malaysia, Maldives, Mongolia, Nepal, New Zealand, Pakistan, Philippines, Russia, Singapore, Sri Lanka, Thailand, Vanuatu, Vietnam.